Whenever the Social Thinking team sends me products to review I stop and imagine how other SLPs might use them. 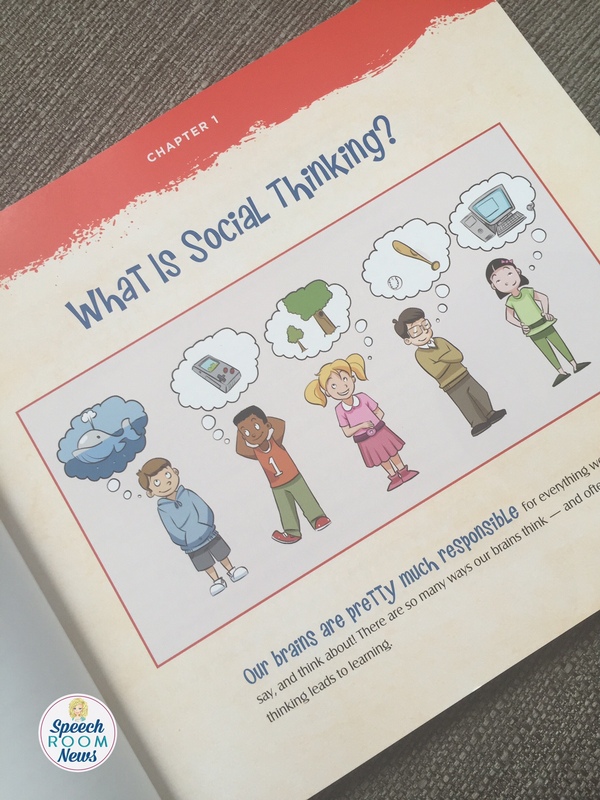 When they sent me a set for later elementary and middle schoolers, Social Thinking and Me, I was really excited to see that the product requires no prior knowledge of social thinking to implement. This is really great news for anyone ready to start Social Thinking with older students. 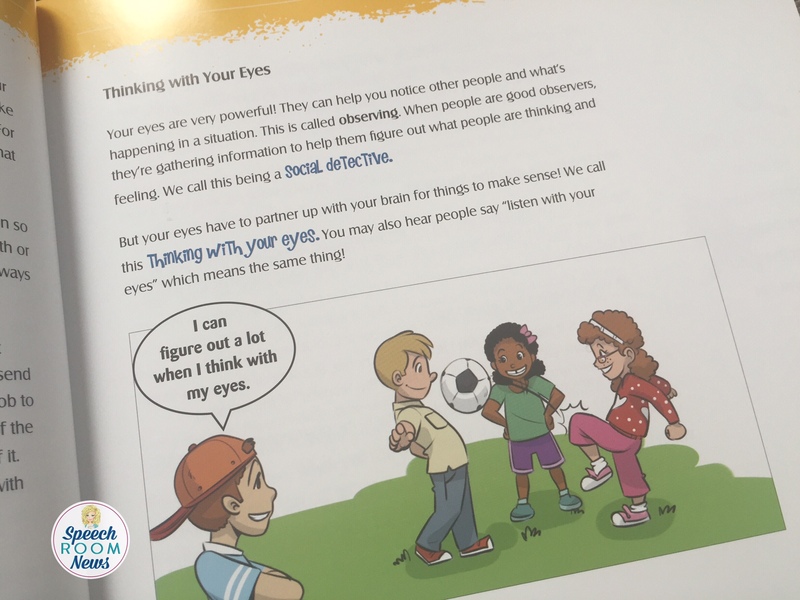 Social Thinking and Me presents the basics, but at an appropriate level for 3rd-7th graders. 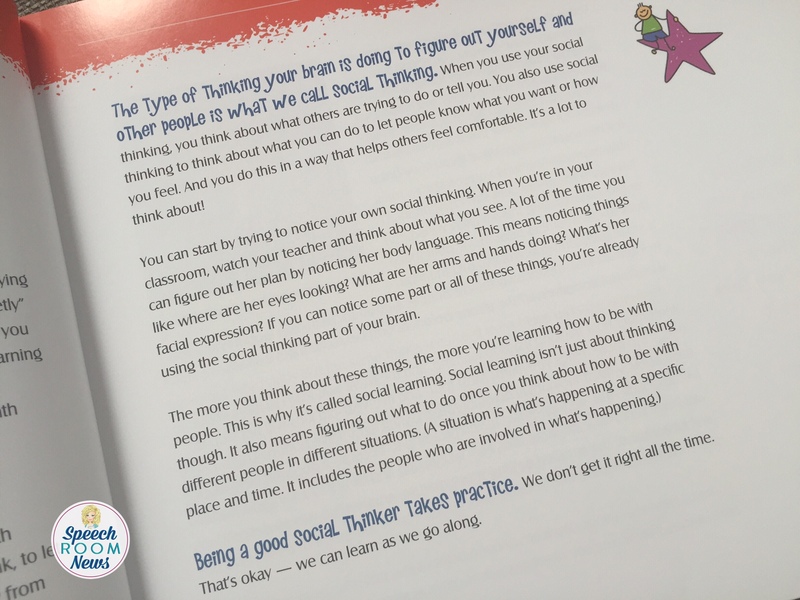 Social Thinking and Me starts at the very basics of social thinking. Written by Michelle Garcia Winner and Linda Murphy, the books cover Flexible Thinking, Social Thinking Vocabulary, and Feelings. Then is moves into strategies such as thinking with your eyes, thinking about the hidden rules of a group, and keeping your body in the group. 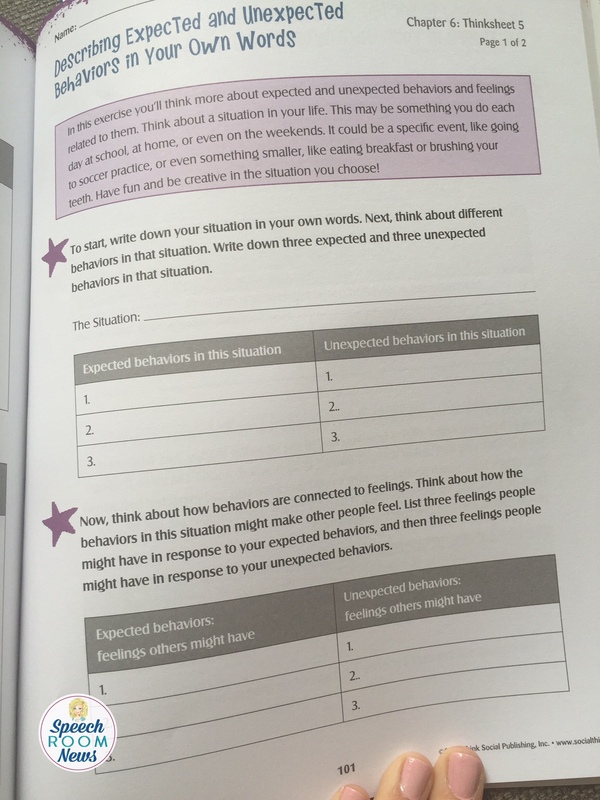 Finally, the book focuses on higher level topics such as the size of the problem, and thinking about our reactions. The set comes with two books. One is a student guidebook and a set of worksheets (called Thinksheets). It’s created for students who are 9-13 years old. The student guidebook is written is student friendly language. 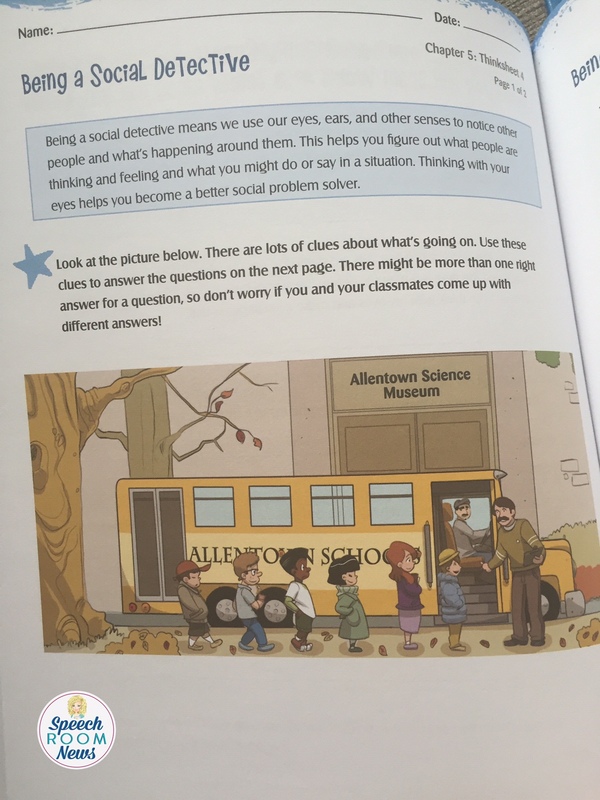 It explains all social thinking ideas and topics and includes illustrations and examples. 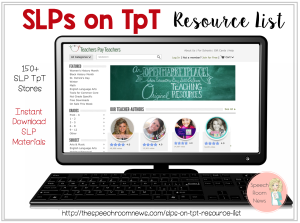 The teachers guide and Thinksheets also review the concepts and provide worksheets for practice. I love the included handouts because they are super easy and require no planning. Great age range, there aren’t as many materials for this age. No prep. Just utilize the book and the worksheets and your lessons are done. USB drive included makes printing really easy. I felt like some of examples were pretty applicable to a 3-5th grader, but maybe not to a 7th grader. 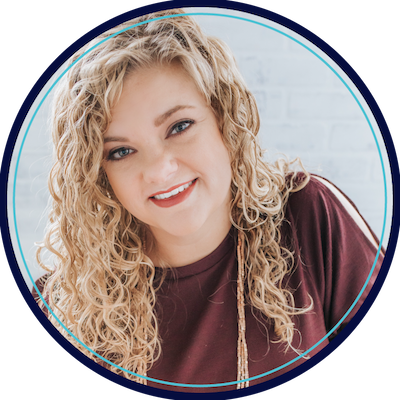 For example, the samples for reacting to a problem are overreactions that a younger child might do (tantrum, hit, stomp feet) but 7th graders use other poor behaviors (like cussing, being sarcastic or leaving the area). I would like some older examples included. 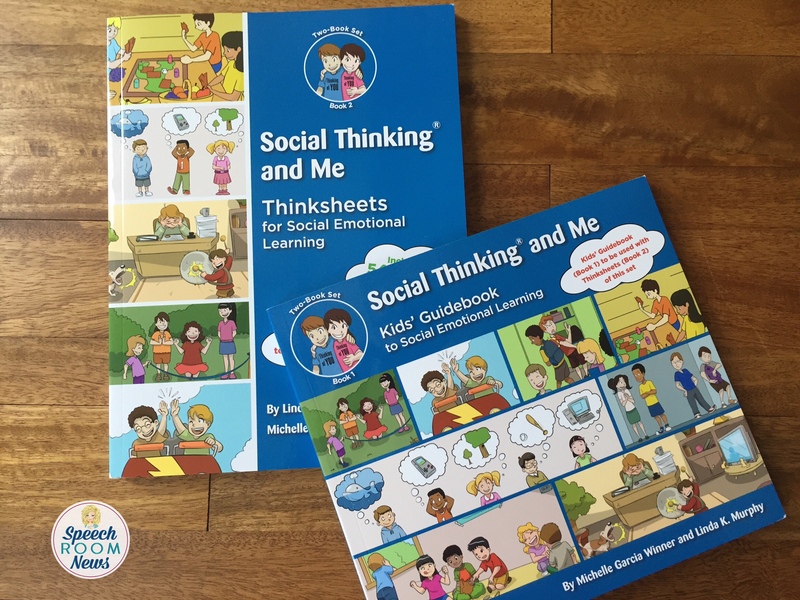 You can find the Social Thinking and Me books for sale on the Social Thinking website. They currently retail for $59.99. Thanks, Jenna. This was a great post! I have a few ‘social’ kiddos this year and need a curriculum that is no-prep, just grab and go, since I have little control over grouping like/unlike students. Do Garcia-Winners books progress in a certain order? I have social detective but which next? I’ve called them before and found their support staff really helpful. Thank you for this review! 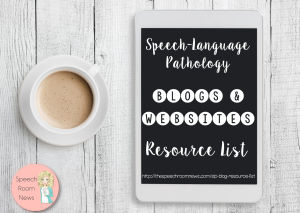 I was considering this for my school age students and I love the no prep, ready to use and being applicable for 3rd-5th graders. You’re welcome! I think it will perfect for that age group! No prep is the best!